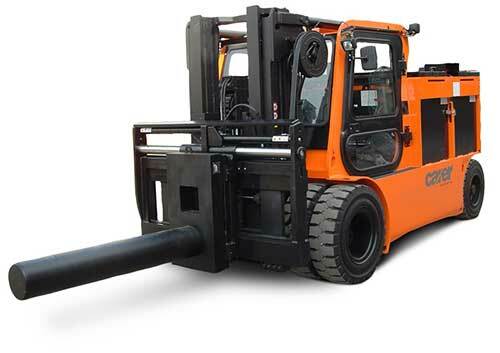 Designed to handle extremely heavy loads in containers, the K100-120 provides high performance levels and wide maneuverability thanks to a set of cameras that ensure maximum visibility at the rear during challenging handling maneuvers. 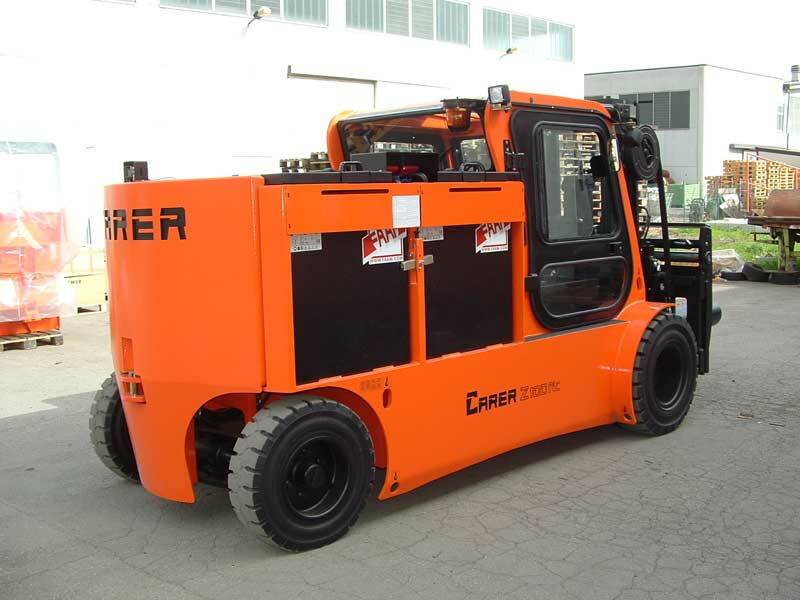 The K 120’s are the only heavy duty forklifts with a compact size and 26,000 lbs. capacity that can operate inside a container. The driver’s seat is spacious and comfortable. The levers are within easy reach. The steering wheel has a tilting telescopic steering column. The “easy info” control panel indicates the battery charging status, the hours of operation and activates the hoisting block when the battery is flat. 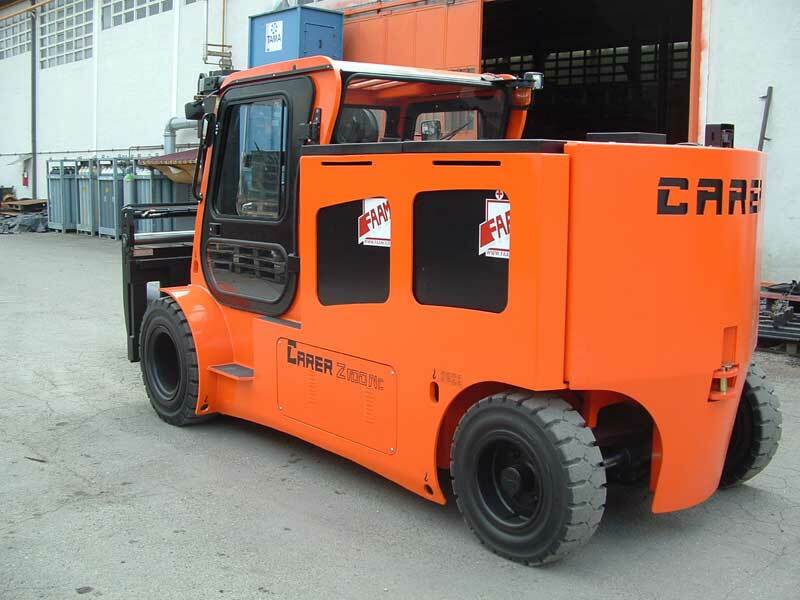 The electric motors ensure high performance levels and high torque. 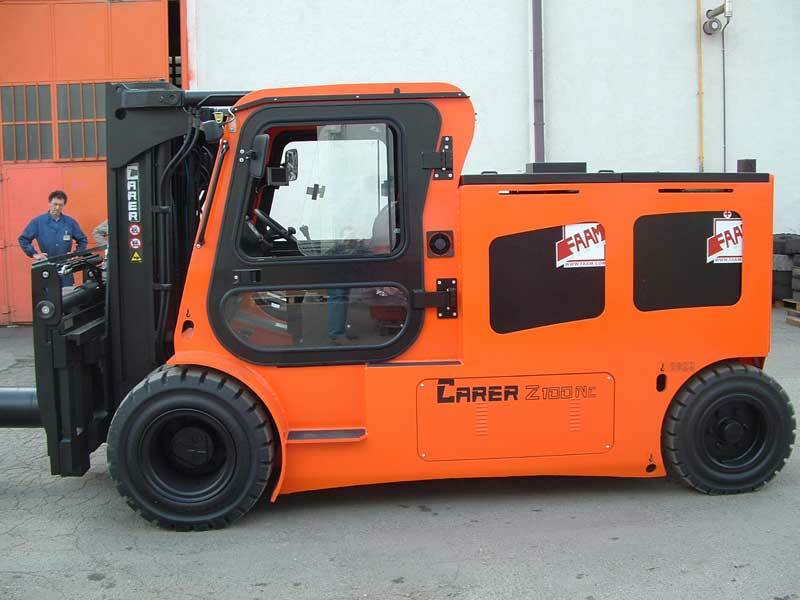 The power, which is managed electronically, gives this series forklift trucks unmatched ignition, speed and maneuverability. There is an oil-bath bridge at the front. The braking system is incredibly efficient and is fitted with an energy recovery feature, which operates by reversing the direction of travel when the gas pedal is released and by pressing the brake. 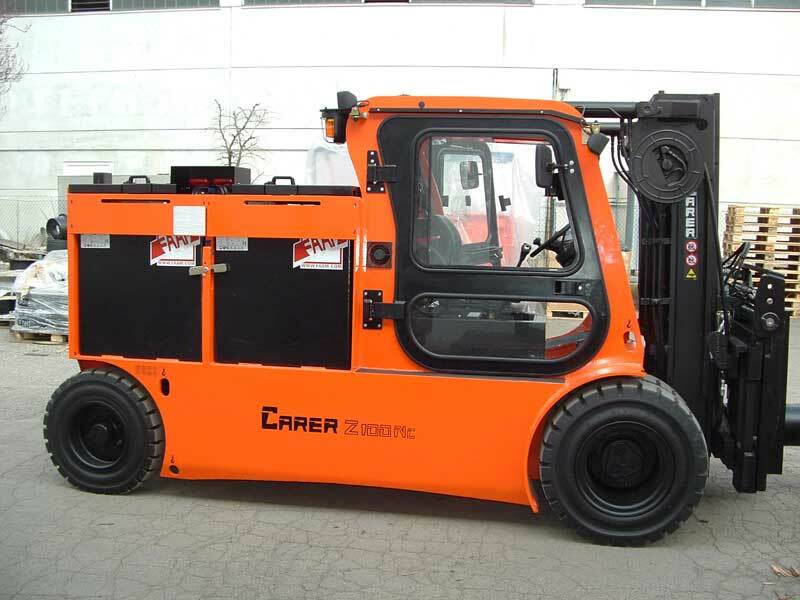 Carer’s heavy duty forklifts have a sturdy axle that allows for very wide steering angles. 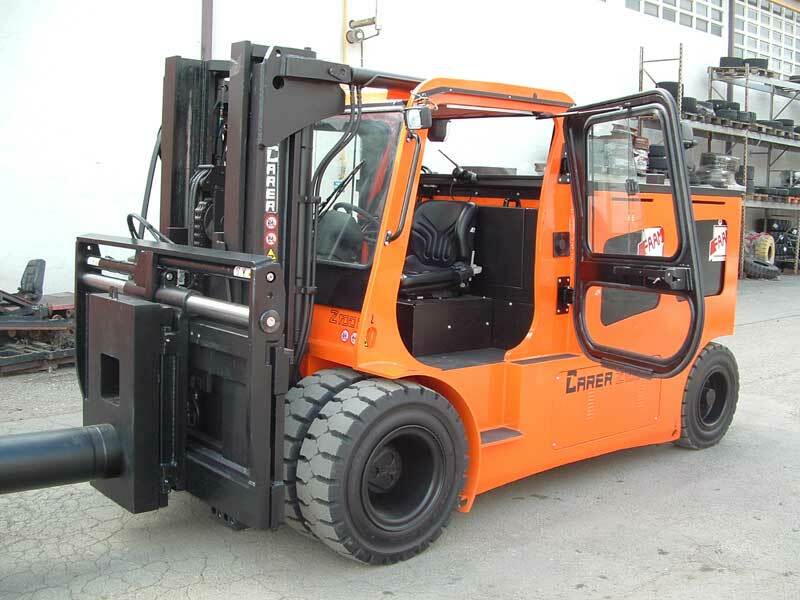 To further increase their dynamic properties, the forklift trucks have a soft and precise steering wheel. There are various batteries with different amperage values to increase operating time.